Skin Care Problems? We Can Help! Welcome to our skin care site dedicated to providing you with advice on how to remove blackheads and other great skin care tips for beautiful, clear skin. We provide information on everything from effective but inexpensive home remedies, to product reviews of popular skincare products as well as information about the latest dermatologist treatments. To find the information you are looking for, please make use of the ‘site index’ link at the top of the page to browse all the articles and product reviews. What Is The Best Way Of Treating Blackheads? Blackheads are unsightly blemishes, caused by excess oil that has clogged a pore, tend to appear on the oily parts of the face, the nose, chin and forehead and look like tiny black plugs; the open pore exposes the trapped oil to the oxygen in the atmosphere, which is what turns it black. There are different views on treating blackheads. Harsh squeezing of them is not recommended, but very gentle pressure applied to the surrounding area is thought to be the simplest, more effective method. “Popping” releases the trapped oil, which relieves the pressure that is causing the damage to the skin. Care must be taken not to apply too much pressure, however, as this could cause scarring and make the skin look even worse. The best method of blackhead removal is to use a very gentle facial scrub on damp skin to get rid of dead skin cells on the surface of the skin. Next, pat your face dry with a clean washcloth. Wet the washcloth with warm water, wring it out and place it over your face for around 15 minutes. Relax and let the warmth soften the contents of the blocked pores, which should make them easier to remove. Do this by first, patting the skin dry again, then take a piece of tissue and hold it over the blemish; use the tips of both index fingers to apply even pressure to either side . Try to apply the pressure from underneath the blemish. If it will not “pop” after a couple of attempts, leave it alone. Focus on caring for your skin over the next few days, kep it free of heavy products and cosmetics as much as possible, and drink plenty of water to hydrate the skin. Use a very mild facial scrub every day. Women spend oodles of time, energy and money on skin care and beauty products. They use lots of different home remedies too. Some are time tested and some invented over a period of a lifetime and passed on as beauty secrets to the next generation. I have compiled a few of them as they sounded really, really bizarre. I am sure, even you will agree with me after reading these – but they really work, try them out for yourself! Rosacea is a common skin condition often mistaken for acne or eczema. It mainly affects the facial skin. Lighter skin people are more prone to the problem than others. Common symptoms include red patches, burning sensation and irritation in the eyes, watery eyes, swollen eyelids and swelling of the face. 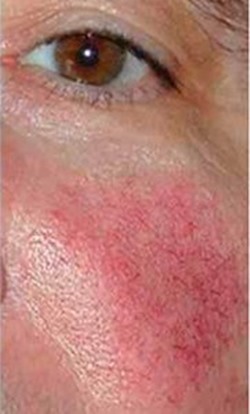 The main reason behind Rosacea is swelling of the blood vessels below the skin. Certain factors that worsen the condition are extreme temperatures, spicy food, stress, alcohol, and sunlight. Licorice reduces redness, itching and irritation caused by Rosacea. Blackheads are accumulations of oil that block pores. When these blocked pores get inflamed, they are known as pimples. There are several masks available commercially to loosen and do away with blackheads from the face. These products are normally costly and may have some rather undesirable ingredients on their label. 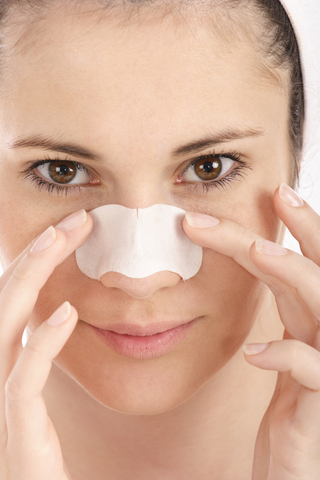 At home, you can decide to make your own blackhead removal mask instead. Egg whites are perfect for facials since they have the ability to temporarily tighten an individual’s pores and skin and leave the skin feeling supple and soft. The process of removing blackheads using egg white and lavender mask takes a bit of time and can become somewhat messy if you are not cautious enough. If you happen not to add sufficient layers or get drying duration right, the mask will not work. If you are the kind of person who doesn’t want to use any face products, creams, or lotions to treat your acne, then you are just like me. We are the people who follow the mantra of all natural ingredients. 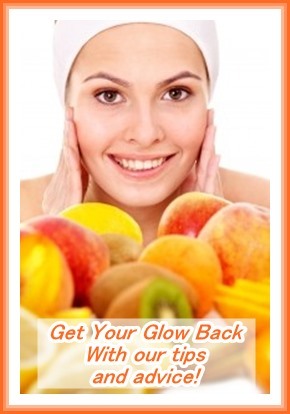 The most important thing in getting rid of acne permanently is to address the root cause of the problem. For this reason alone, I am sure that you will love the information that I am providing you here beyond any doubt. Eat a healthy diet: You must have heard a number of times that whatever you eat shows on your face. Therefore, diet plays an important role and nothing substitutes a healthy diet. Eat fresh fruits and vegetables that are rich in antioxidants like oranges, lemons, sweet lime, papaya, tomatoes, broccoli, spinach, sweet potatoes and carrots and drink green tea to get the best health benefits for your skin. Include omega-3 rich foods in your daily diet like walnuts, almonds and other nuts and seeds-they help in building skin immunity and glowing skin.